The current President is Kersti Kaljulaid, elected by Parliament on 3 October 2016, becoming the first woman and youngest person ever to hold the position. According to the 1938 constitution, if the President was ever incapacitated or was otherwise unable to carry out his functions, his duties were assumed by the Prime Minister under the title "Prime Minister in duties of the President." 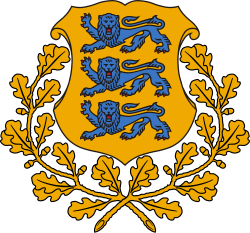 In accordance with this provision, Vares took over the functions of the president in order to give legal sanction to the formal annexation of Estonia by the Soviet Union in August. However, during times of war or incapacitation lasting longer than six months, the constitution provides for the election of an acting President by the Electoral Council. The Electoral Council met in secret on April 20, 1944, and determined that the appointment of Vares as Prime Minister in 1940 was unlawful according to the 1938 constitution. The Council elected Jüri Uluots as Acting President on April 21. Uluots appointed Otto Tief as Prime Minister. Tief was subsequently arrested by the re-occupying Soviet forces in September. In September 1944, Uluots and the surviving members of the Tief government escaped to Sweden. The day before Uluots died in January, 1945, a successor, August Rei, was named to assume the position of acting President. Following Rei's death in 1963, the role passed to Aleksander Warma, then to Tõnis Kint in 1971, then to Heinrich Mark in 1990. In October 1992, Mark handed over his credentials to the newly elected President of the restored republic, Lennart Meri. After Estonia regained independence, a new constitution was adopted that was based on a mixture of the 1920 and 1938 documents. During the drafting of the new constitution, it was initially planned to use the older, more traditional title, State Elder, for the head of state. However, the more modern term president was eventually chosen after public consultations. Five presidential elections have taken place (in 1992, 1996, 2001, 2006 and 2011). In the first four elections parliament failed to choose the President and the election passed to the electoral assembly. 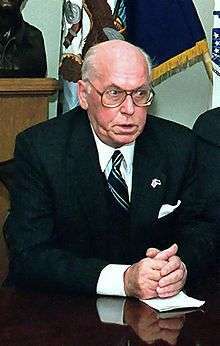 Lennart Meri was elected in 1992 (this election, unlike later ones, had a public round) and re-elected in 1996, defeating Arnold Rüütel both times. 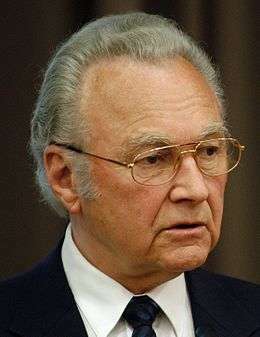 Rüütel himself became the next President in 2001. 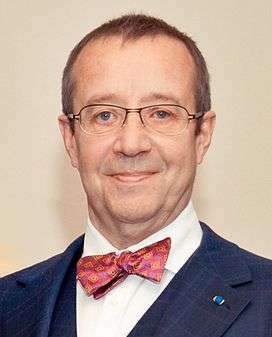 In 2006, Toomas Hendrik Ilves won the election and he was reelected by the parliament in 2011. The next presidential election will be held in 2016. 1938 - I round - elected by the parliament and municipal appointees as the only candidate with 219 of 238 votes (92.0%). 1992 - II round - elected by the parliament with 59 of 101 votes (58.4%). 1996 - V round - elected by the parliament and municipal appointees with 196 of 372 votes (52.7%). 2001 - V round - elected by the parliament and municipal appointees with 186 of 366 votes (50.8%). 2006 - IV round - elected by the parliament and municipal appointees with 174 of 345 votes (50.4%). 2011 - I round - elected by the parliament with 73 of 101 votes (72.3%). 2016 - VI round - elected by the parliament with 81 of 98 votes (80%).